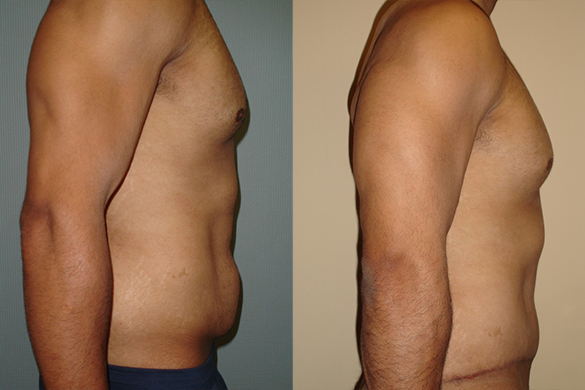 Patient had abdominoplasty performed. Result is two months after surgery. Patient had abdominoplasty performed. Result is three months after surgery. Patient had abdominoplasty performed. Result is 6 weeks after surgery. Patient had abdomimoplasty performed. Result is six months after surgery. 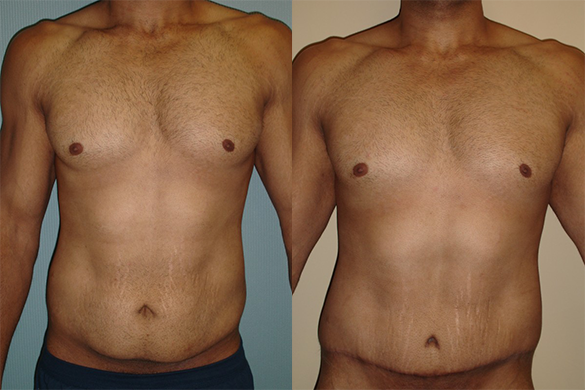 Patient initially had liposuction of abdomen to thin the skin and six months later had abdominoplasty. Result is six weeks after surgery. At the time of liposuction, fat transfer to the buttocks was also performed. Patient had abdominoplasty performed. Result is one month after surgery. Patient had abdominoplasty performed. Result is three months after surgery. The scars will mature and become less noticeable with additional time. Patient had breast augmentation with silicone 535cc implants and mini tummy tuck performed. Result is three months after surgery. Patient had breast augmentation with silicone 425cc implants and tummy tuck performed. Result is six months after surgery. Patient had breast augmentation with saline 400cc implants and tummy tuck performed. Bilateral donut (peri-areolar) lift was performed. Result is four years after surgery. Patient had breast augmentation with silicone 320cc implants and tummy tuck performed. A full (anchor) lift was also performed. Result is four months after surgery. Patient had breast augmentation with saline 700cc implants and tummy tuck performed. A donut (peri-areolar) lift was also performed. Result is one month after surgery. Patient had breast augmentation with silicone 535cc implants and tummy tuck performed. A full (anchor) lift was performed. Result is six months after surgery. Patient had replacement of saline implants with silicone 535cc implants. A donut (peri-areolar) lift was also performed. A tummy tuck was performed at the same time. Result is one month after surgery. Patient had abdominoplasty performed. Breast augmentation with saline implants filled to 310cc on the right and 290cc on the left was also performed. Result is six months after surgery. Patient had abdominoplasty performed. Result is four months after surgery. Patient had abdominoplasty performed. Result is six months after surgery. Patient had abdominoplasty performed. Result is five months after surgery. 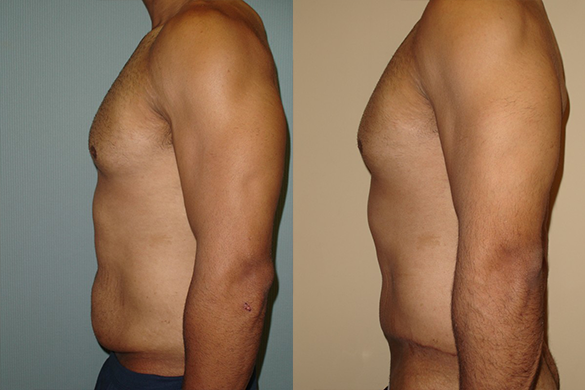 Patient had abdominoplasty performed. Result is seven months after surgery. If you are looking for a realistic solution to a problem midsection, checking out Orange County tummy tuck results like those shown in the pictures shown below makes a lot of sense. With offices in Newport Beach and Santa Ana, Dr. Michael Jazayeri is a leading board certified plastic surgeon who has crafted outstanding results for men and women from throughout Orange County and Southern California. Every patient is different, but the pictures on this page will give you some idea of what we can accomplish. Tummy tucks are obtained for a number of reasons. Many patients have lost a great deal of weight due to childbirth or a weight loss procedure and have been left with large amounts of loose skin and fatty tissue. Others are beset with love handles and other pockets of fatty tissue that can sometimes fail to respond to even very large amounts of diet and exercise. Known medically as abdominoplasty, this procedure is often combined with liposuction and other surgeries. To learn more call the phone number at the top of this page or visit our contact page.